In October 2017, Roku announced a complete refresh of its entire hardware offering. It was a sensible decision by the company. 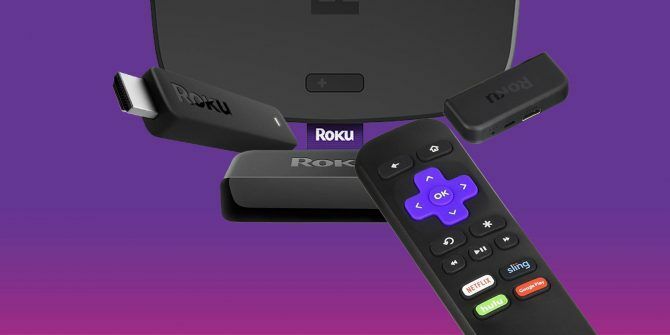 Ever since the introduction of the Roku Express, Roku Premiere, and Roku Ultra in 2016, the range of products has proved confusing for consumers. In the latest refresh, Roku has dropped the mid-range Premiere and Premiere+ and slimmed down its range to five distinct standalone products. The company has also announced a brand-new operating system, Roku OS 8. In this article, we’re going to briefly explain what new features are available in the new operating system, before introducing you to all of the new devices Roku has launched. Roku OS 8 will be available to all Roku devices by the end of 2017. The Roku players (rather than Streaming Sticks) will be the first gadgets to receive it — with the updates beginning in October. Voice control: You can use your voice to change inputs, flick to free OTA local channels What Can You Watch Using a TV Antenna? What Can You Watch Using a TV Antenna? What if there was a cheap, legal way to gain access to many of the big networks? You'd probably lap it up. Well, it turns out there is! Step forward the trusty TV antenna. Read More , and more (U.S. only). Smart Guide for Roku TVs: If you have a Roku TV, you can now enjoy a redesigned 14-day electronic program guide (U.S. only). Antenna TV listings in Roku Search results: For example, if you search for The Big Bang Theory, you will see results from both your streaming apps and from TV networks. Private Listening for antenna TV: If you have an antenna plugged into your Roku, you can now listen using headphones connected to your remote or smartphone app. You can check if the update is available for your device by going to Settings > System > System Update. As mentioned above, if you’re in the market for a new Roku there are now just five devices for you to choose from. They are: Roku Express, Roku Express+, Roku Streaming Stick, Roku Streaming Stick+, and Roku Ultra. We’re not going to discuss Roku TVs here, as they are not Roku-manufactured devices, but they are available for those who want them. The Roku Express is the cheapest of the five devices in the new lineup. On the Roku website it retails for $29.99. You can also buy the device on Amazon. Given that it’s the entry model, the Roku Express as great for first-time streamers and people who want to add smart capabilities to other lesser-used TVs around their home. The Roku Express has a maximum picture quality of 1080p HD and only works with 802.11 b/g/n Wi-Fi networks. It does not offer multiple-input and multiple-output (MIMO) dual-band support. The remote also differs from some of the more expensive models. The device only ships with a simple remote and, therefore, cannot control your TV or provide private listening. Nonetheless, the Express still offers the full Roku Search experience, as well as Roku Feed, Hotel and Dorm Connect, and Miracast-based screen mirroring What Is Miracast? How to Use Miracast for Wireless Media Streaming What Is Miracast? 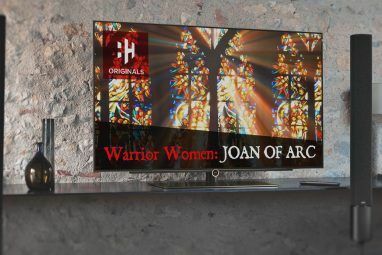 How to Use Miracast for Wireless Media Streaming HDMI may be the standard for connecting media devices, but it has a lot of downsides. Here's how to use Miracast instead. Read More . Listed at $10 more, the Roku Express+ retails for $39.99 on the Roku website, but can be bought on Amazon too. There is only one difference between the Express and the Express+: The Express+ can connect to your TV using HDMI or composite A/V ports. It is the only model in the range to offer the composite connections. Everything else is identical. The Roku Express+ has a quad-core processor, comes with a simple non-Wi-Fi remote, doesn’t support MIMO, and has access to all Roku’s fancy extra features 7 Awesome Roku Features You're Probably Not Using 7 Awesome Roku Features You're Probably Not Using Do you own a Roku device? If not, why not? If so, good, because it's time for some more tips and tricks for getting the most out of your Roku! Read More like Hotel and Dorm Connect and Roku Feed. The next device in Roku’s product range is the Streaming Stick. The Roku Streaming Stick is easy to set up How to Set Up and Use Your Roku Streaming Stick How to Set Up and Use Your Roku Streaming Stick So, you have bought a new Roku Streaming Stick and are wondering what to do next. We're here to help, with the complete guide to setting up your new Roku Streaming Stick. Read More , and retails for $49.99 on Roku’s website. Or you can buy one on Amazon instead. The Streaming Stick is the final product that only offers 1080p HD resolution. The Streaming Stick+ and the Ultra, which we’ll talk about next, both offer 4K resolution. Unlike the two Express models, the Streaming Stick is akin to a dongle: it plugs directly into the HDMI port on your TV. As such, it’s perfect for wall-mounted TVs and for anyone who doesn’t like excessive clutter on their TV stand. Furthermore, it’s the first model in the range that supports MIMO Wi-Fi support. The Streaming Stick is also the first model to ship with an advanced remote. It includes a TV power button, volume controls, voice search, and it connects to your device over your Wi-Fi network. As the name suggests, the Streaming Stick+ is broadly similar to the cheaper Streaming Stick, but there are a couple of important differences. The first significant difference is the inclusion of an advanced wireless receiver. It enables you to position your device further from your router, thus making it an excellent choice if your TV is in an area of your home where the network signal is weak. Secondly, as we alluded to earlier, it offers 4K resolution. It also provides high-dynamic-range imaging (HDR). The HDR technology allows it to display a wider range of luminosity on your screen — the colors will look more vivid and vibrant. All the extra features will set you back a further $20, with the device selling for $69.99 on the Roku website. The premium device in the new lineup is the Roku Ultra. If you can afford the inflated price tag, it’s the best model to buy for the main television set in your house. Like the Streaming Stick+, it delivers 4K resolution through HDCP 2.2 HDMI ports. It also supports HDR. If you’re looking for plug-and-play compatibility, this is the device for you. It includes both a USB port and a micro SD slot; they make it easy to watch media you have saved elsewhere. You can also use the ports to add permanent extra storage to your device so you can install more channels. The remote for the Roku Ultra marks another upgrade over the Streaming Stick models: it includes gaming buttons so you can play games on your Roku 10 Amazing Roku Games You Should Be Playing 10 Amazing Roku Games You Should Be Playing Did you know that the Roku has a surprisingly extensive gaming catalog? Here are the best games you can play on your Roku now! Read More with ease. It even has a remote finder — you’ll never be left searching down the back of the sofa again. Which Roku Device Will You Buy? Roku has introduced much more clarity to its range with the refresh of all five devices. It’s easy to see the company has clearly aimed each model at a particular usage case and would-be buyers should now find it much easier to purchase the right device for their particular needs. Which Roku device has impressed you the most? Will you settle for the entry-level Roku Express, or are you tempted to shell out more money for the top-of-the-line Roku Ultra? 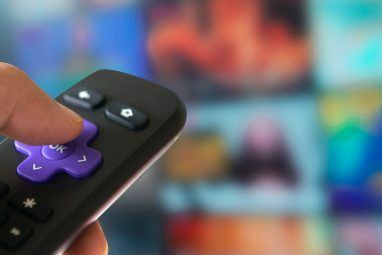 Regardless of which one you get, be sure to start things off right with these useful private Roku channels 20 Private Roku Channels You Should Install Right Now 20 Private Roku Channels You Should Install Right Now Here's how to add private channels to your Roku, alongside some of the best private Roku channels you can install right now. Read More . Explore more about: Buying Tips, Media Player, Media Server, Media Streaming, Roku.